Honor has teased the launch of an upcoming device that features a pinhole camera on the display. It could be the mid-range Honor View 11. Huawei has already announced that it will be launching its first phone with a pinhole front camera on December 17. Following that, Honor has also teased the launch of a new device with a similar pinhole camera on the display, but it will launch next year, on January 22. This doesn’t really come as a surprise as Honor is the sub-brand of Huawei and the technology implemented by the latter usually ends up in Honor phones as well. 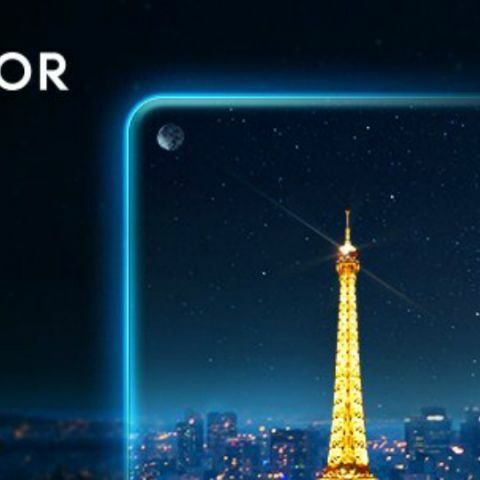 Coming back to the upcoming phone launch by Honor, the mobile phone manufacturer might be launching its rumoured Honor View 11 smartphone at the event scheduled to be held in Paris, France. The teaser poster for the upcoming launch shows the silhouette of a phone, with the Eiffel Tower in the middle. What might seem like the moon on the upper-left corner of the device's display is actually a clever way of hinting towards the front-camera, which, as mentioned before, will most probably be placed on the upper left side of the screen. There’s not much known about the upcoming Honor phone but it is expected to be a mid-range phone, unlike the alleged Huawei Nova 4, which is said to be a flagship device that could come equipped with the company’s latest Kirin 980 chip. Speaking of the Huawei Nova 4, the device is speculated to be announced on December 17. It is all but confirmed that the device will sport a pinhole camera on the same, upper-right corner of the display. As mentioned above, the phone might be launched running on the HiSilicon Kirin 980 SoC, coupled with at least 4GB RAM. Alongside Huawei and Honor, Samsung is also launching a new phone on December 10, which might be the Galaxy A8s. 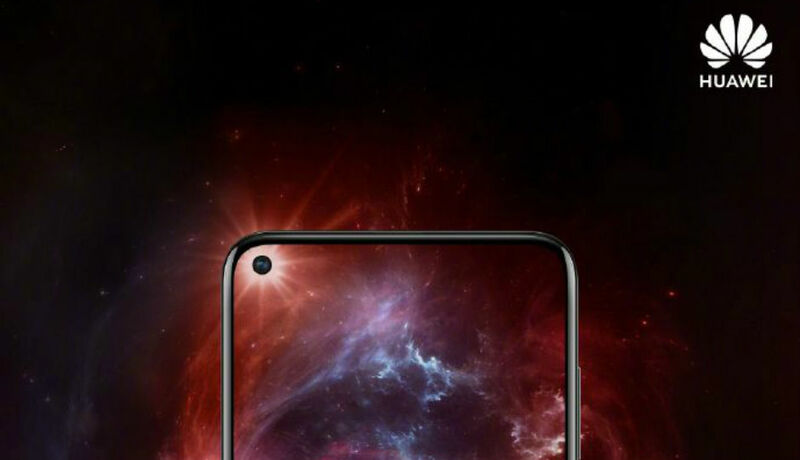 The device is also expected to feature a pinhole for the front camera and it just might bag the title for being the first smartphone with the new, debatably less intrusive, pinhole notch display. The Galaxy A8s was initially teased during the launch of Galaxy A9, in China. The device could be a mid-range handset with an LCD display, which will reportedly feature a pinhole that is 6.7mm in size. The Galaxy S10 is said to have a smaller 2-3 mm cut-out. The Samsung Galaxy A8s could be launched running on the Snapdragon 710 SoC, coupled with 6GB RAM. 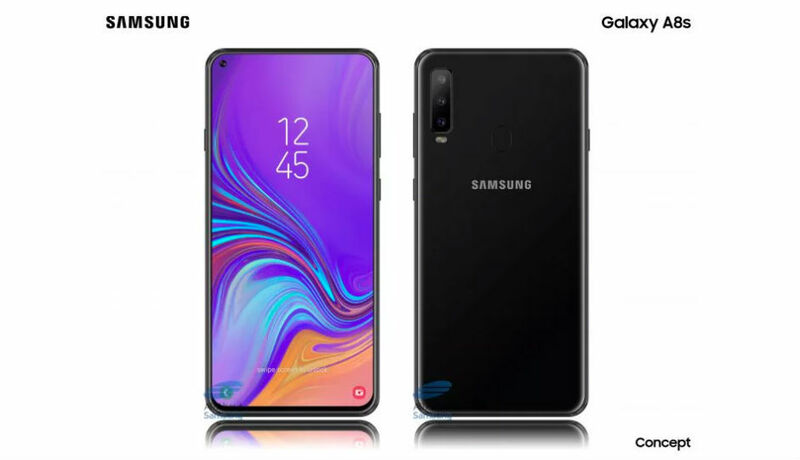 Press renders of the phone reveal a vertically aligned three camera setup on the rear, similar to the Galaxy A7 (2018). There is a small LED flash under the camera module and an elliptical fingerprint sensor in the middle. It’s speculated that the Galaxy A8s could come equipped with an 8MP 120-degree Ultra Wide Lens, a 5MP depth-sensing camera and a third 24MP camera on the back, and a 24MP sensor on the front. It could be backed by a 3,000mAh battery. when honor 8 launch in india...? ?